LTA has offices﻿﻿ in Vineland, New Jersey and Los Angeles, California. Ricky Martin performs at the Moon Palace Golf and Spa Resort in Cancun. Paulina Rubio at the Aruba Music Festival. Lee Tofanelli and Associates, Inc. (LTA) was established in 1984 as an advertising, media consulting, and public relations firm. In 1988, the company expanded the scope of its services to include an entertainment production division in order to pursue opportunities in the live event and television production industries. For over 30 years, LTA has handled such varied advertising and public relations clients as commercial and professional business operations, federal and state agencies, county and municipal governments, medical centers, insurance underwriters, financial institutions, professional money managers, tourism destinations, and political candidates. the EMP Museum Grand Opening Concerts for MTV and VH1; the World University Games international broadcast from Buffalo, New York and Toronto, Canada; the White Knights Festival in St. Petersburg, Russia; the Cancun Jazz Festival; PBS Pledge Specials featuring Ray Charles and The Four Tops; ﻿VH1 Diva's Live - The One and Only Aretha Franklin﻿; and FFKA Full Contact Karate for ESPN...to name just a few. With offices in the Philadelphia suburb of Vineland, New Jersey and Los Angeles, California, our in-house team of producers, directors, talent buyers, and production personnel provide maximum flexibility in meeting the different needs of our domestic and international entertainment clients. 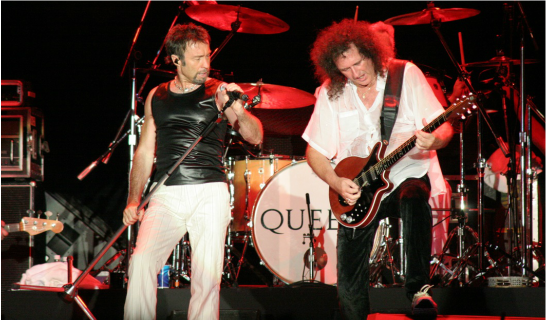 LTA were the producers of the Aruba Music Festival from 2002 - 2009, which included Queen + Paul Rodgers in 2005. We are always looking for new entertainment production, advertising, or public relations projects. We have the experience, attention to detail, and relationships to make your event or campaign a success. Contact us today, we look forward to hearing from you!